Float on with our Newest Cage Creation! 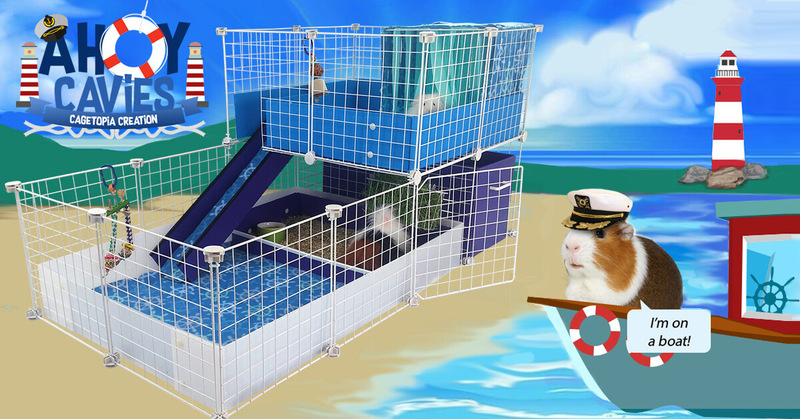 Adventurous piggies can take to the sea with our relaxing Small (2x3 grid) Cage. After enjoying a catered meal in their Cavy Cafe, piggies can adjourn to the spacious offset Wide Loft to take in the scenery. Add cozy accessories in our Boat Wheels Fabric Collection from Guinea Pig Market to complete your piggy staycation! 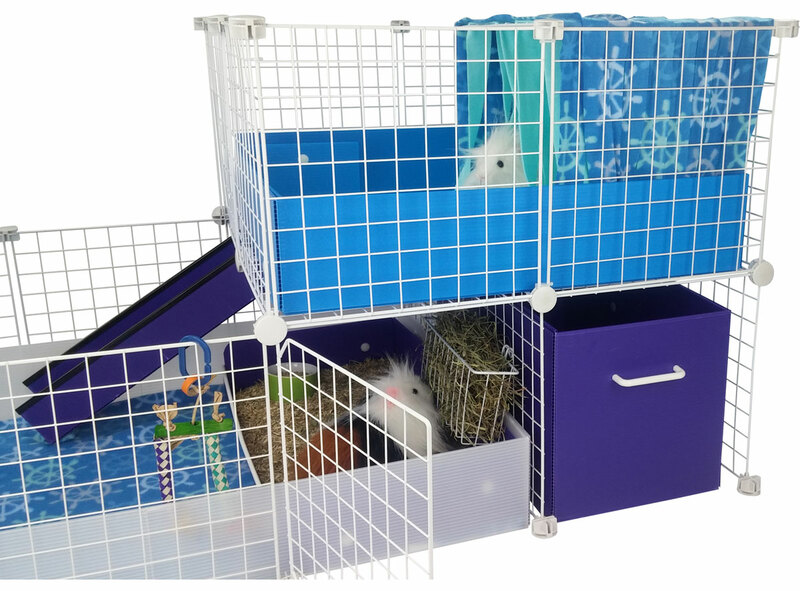 This cage is recommended for 1-2 female guinea pigs. For two males, we highly recommend upgrading to the XL (2x5 grid) Cage. Easy Kitchen Access with our Swing Grid! Our versatile Swing Grids can be used to provide easy side access to the kitchen area under the loft. Simply replace one existing grid with our Swing Grid for a convenient way to reach piggies, refresh hay or change bedding. Need Hayware? We've Got You Covered! We have a wide variety of Hayware to accommodate your needs. We highly recommend our Large Hayrack or Hearty Hay Buffet to provide your guinea pigs with a large amount of fresh, high quality hay on a daily basis.